The state Democratic Party filed a complaint today alleging Attorney General and U.S. Senate candidate Jon Bruning failed to properly disclose his part ownership of a $675,000 Ashland cabin to the state. Office holders and candidates must disclose ownership of real estate to the state Accountability & Disclosure Commission — and Bruning has not reported his ownership of a cabin he bought with two Nelnet executives in 2008 on any of the annual A&D reports he must file. However, he did list the LLC that he and the Nelnet executives formed to buy the property in 2008 and 2010, but not 2009. The purchase of the cabin is a “clear conflict of interest” — a year prior, Bruning tried to waive a $1 million settlement with Nelnet, but backed down after getting heat because he received campaign contributions from the Lincoln student loan company and its administrators — said Brandon Lorenz, communications director for the state Democratic Party. He alleged that Bruning was either negligent or trying to cover up the cabin purchase by not listing it on the state financial disclosure forms. The Democrats also said Bruning failed to list the addresses of businesses he is associated with and sources of any income he earns on the A&D forms. Bruning has been under scrutiny in recent weeks since his federal financial disclosure forms revealed he has become a multimillionaire since beginning his political career about 15 years ago. Bruning’s campaign manager, Trent Fellers, attended the Democrats’ press conference this morning and afterward said it was nothing more than U.S. Sen. Ben Nelson and the Democrats trying to divert attention from his votes on “big government spending and Obamacare.” He noted that Nelson is spending $200,000 on TV advertising already — 14 months before he is up for re-election. “I think it just goes to show how scared they are to lose this race,” Fellers said. ← Ground broken on arena, but no lease with UNL? This is exactly why so many good people steer clear of running for office. Jon Bruning has a long track record of holding elected officials accountable. I’m confident he followed the law and disclosed the information properly. It’s so obvious to me what the dems are trying to do here, and how desperate they are to bring down the candidate that can & will defeat Nelson. Is there anyway we can get a different picture of Bruning that this one that is the “official” one when writing articles here and LJS, etc. I am getting nauseous from seeing this one – It kinda screams “Giant Turd!” Surely there are other turdish ones of him available that don’t scream it so loudly. 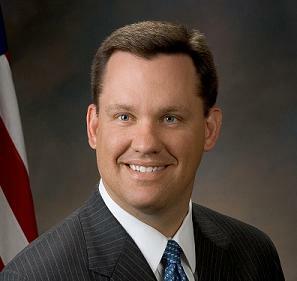 I mean, no amount of photoshop can get rid of all the turd in any image of Mr. Bruning, but I keep having to windex off my computer screen when I see this one. Thanks!